Today I got the chance to wear my new Topshop skirt. I was planning to wear a Broderie Anglais blouse to emulate the Made in Dagenham outfit seen here but, as it turns out, the blouse is too small for me. I have a similar one that was my Grandma's in the 60s but I need to dig that one out. Instead I improvised with a long sleeved white top and cardigan from Primark. 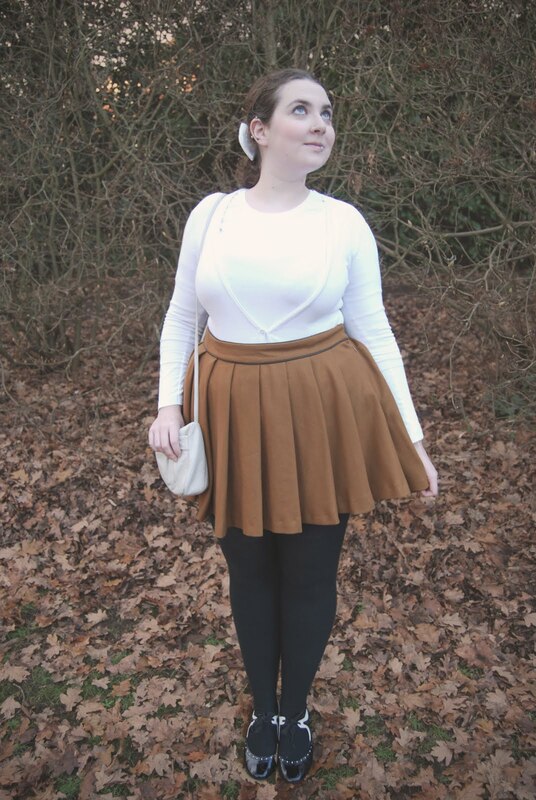 wow I am really loving that topshop skirt! you look great! Drop by my blog and if you like we can follow each other on bloglovin and GFC!